It's showtime in Russia and Ronaldo is certainly looking forward to leave his mark in the biggest competition of all, the FIFA World Cup. Portugal debuts against Spain this Friday and a good result could very well inspire the "Selecção" to greatness. Two years ago, no one expected Portugal to lift the European Championship and two years later the sentiment is similar as they head into Russia hoping to make up for what was a poor showing four years ago in Brazil. 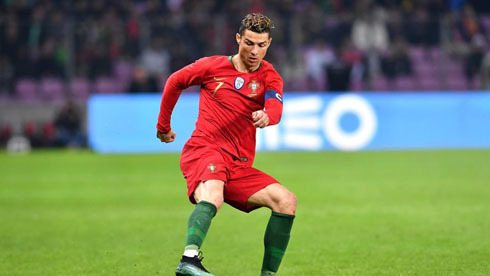 To do so, they will face a potentially complicated group against the likes of Spain, Morocco and Iran, but with Cristiano Ronaldo leading the troops, one would be unwise to count them out. Experts from freebetting.co.uk claim Portugal can beat the odds and shock the world again, but their first game against Spain this next Friday will tell us better what we can expect from them. 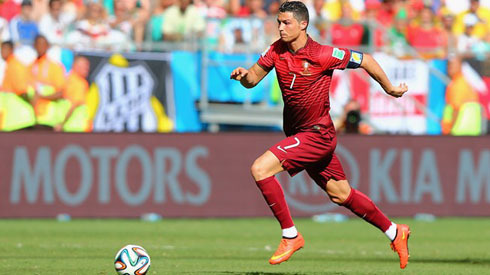 For Ronaldo, this World Cup is a personal quest, despite the country he carries on his back. 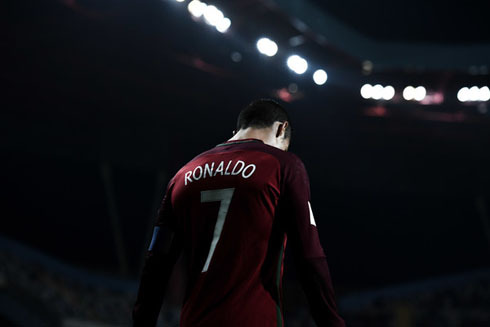 Ronaldo was able to best his international drought helping to lead Portugal to the Euros in France in 2016, but the World Cup is the ultimate trophy and after winning the Champions League three times on the trot and five times overall, it's a World Cup victory that would cap off an illustrious career and perhaps even bolster his status as the greatest of all time. But to get there, Portugal will have to figure out the defense first. Fernando Santos relied heavily on his backline to keep the games close during the Euros, but adding another two years to the already ancient backline (Bruno Alves is now 36!) could come back to haunt them. Pepe and José Fonte, the partnership that did so well two years ago, are back in the fold but both players are relatively weaker than they were a few years back. Upfront, however, there is some new blood that will certainly give Portugal a boost. Gonçalo Guedes, on loan from PSG at Valencia this season, already set La Liga on fire. His first half of the campaign was extraordinary, a brilliant combination of pace, power and precision, Guedes is a handful for any defense and should prove to be an excellent running mate for Cristiano this summer. Another player to watch for is someone who missed out two years ago due to injury, Bernardo Silva. Now fully seasoned after playing a part in Manchester City's record-setting run in the English Premiership, the tricky winger will add even more pace and ability to the attack. The addition of these two exciting players will provide Ronaldo with something he missed badly two years ago, support in attack. 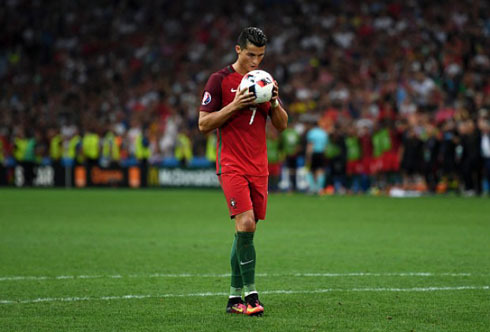 Expect Ronaldo to revel in the newfound space he may enjoy in Russia. Guedes could be the breakout star of the tournament, the same way James Rodriguez announced himself on the world stage four years ago. But again, it all comes down to the defense. Rui Patricio will likely be as stellar and dependable as always, despite a difficult season on and off the pitch for Sporting, but can the two aging centrebacks give it one last go? On the flanks, the defensive-minded Cedric and the more ambitious Raphael Guerriero should do a good enough job, but opponents will certainly be hoping that Portugal's defense struggles more this time around. For Cristiano, this is very likely his last World Cup and if it isn't, it's surely his last at his current level. If Ronaldo somehow makes it to Qatar 2022 he'll be 37, though if there is one player that can stave off a decline it's Cristiano. His career and journey so far all comes down to this, he's achieved everything he can at the club level but despite the EURO 2016 victory, he has yet to hit those individual heights with his national team. The EURO 2004 and EURO 2012 were his best tournaments performance wise, but he's had a harder time in previous World Cups. In 2006 he performed well, but 2010 and 2014 were both far below his usual standard. Could this be the World Cup where Ronaldo breaks free and sets the tournament on fire? The thought will surely be on his mind as we now sit just one day away from the greatest show on earth. Legacies are on the line as the pride of the participating nations comes to the forefront. It's the FIFA World Cup and there is absolutely nothing like it! Cristiano Ronaldo next game for Portugal is on June 15 of 2018 against Spain. You can watch Juventus live stream, Portugal vs Spain, Argentina vs Iceland, Russia vs Saudi Arabia, Egypt vs Uruguay, and Morocco vs Iran, all matches provided from our soccer live game pages.